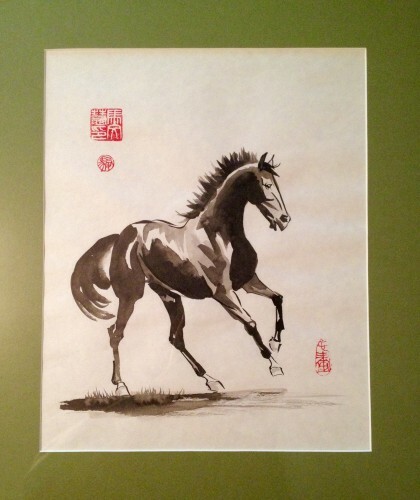 Chinese watercolor painting of a galloping horse with seals. Close up of galloping horse Chinese watercolor painting. 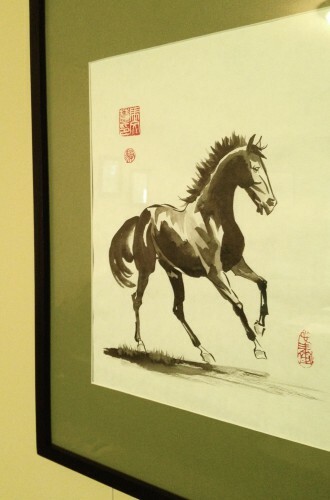 Framed Chinese watercolor painting of a galloping horse. The frame is 16×20 inches and simple black wood with a sage green matt. 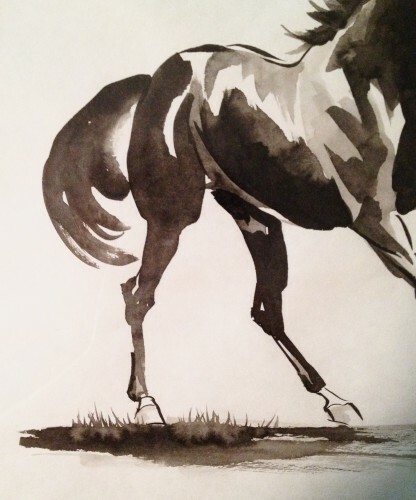 This entry was posted in Chinese Watercolor and tagged black and white, chinese watercolor, gallop, green, horse, mare, Red, running, stallion, Thoroughbred. Bookmark the permalink.